Daniel D. Valerio, known as “coach” by the many now adults who had him as a mentor in either baseball or basketball as a youngster, accumulated many years of volunteerism and coaching in sports as a well-known and popular lifelong Bristol resident. He played softball for the Tramps in the 1940s, as well as with other local teams during this era. 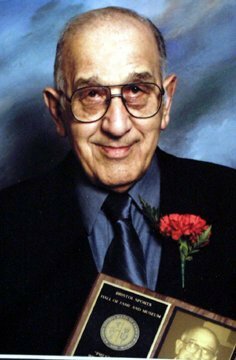 He coached the N.D. girls in softball team before coaching basketball at St. Anthony’s Grammar School, an assistant to Frank Longo, regarded by many as one of the best basketball minds in this area of the country. He is an officer on the Bristol Tramps Sports Reunion Committee and a founding volunteer “Uncle” for the annual Eastern Regional Little League Tournament.